City breaks and sightseeing tours are fun in wintertime, too. And that's exactly what the Womens Clarenville Jacket from Jack Wolfskin was made for. 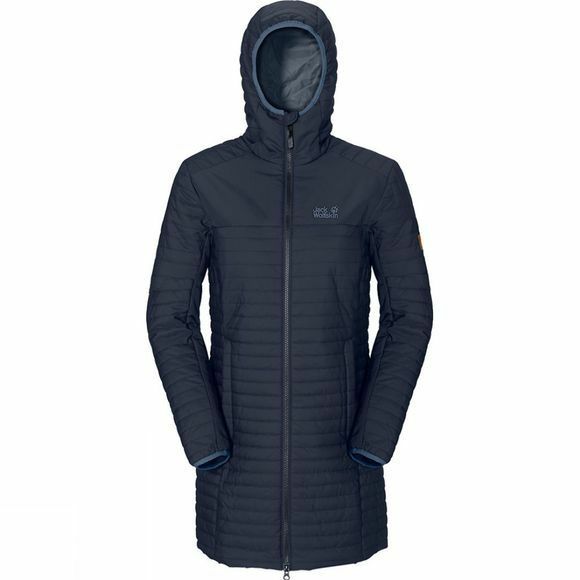 This windproof, warmly insulated, quilted-style coat will keep you snug and warm, from your head right down to your backside. The combination of materials makes this coat a great choice for winter trips and everyday wear. It shrugs off light showers, and when you're rushing to catch the last train home you'll appreciate how breathable it is. The coat has internal fleece cuffs for added cosiness.